Earn money for every paying client that you refer to us. The following affiliate plans are applicable for all of our products: Backup & Restore, Power tools and Dynamic Forms. Pay-outs will be done via Paypal, so having a Paypal account is a pre-requisite. Pay-outs will be done on the last day of each month, after the purchase of the client. If a referred client stops his subscription, no new pay-outs will be made. If a referred client changes his subscription, the change will be reflected in the pay-outs (e.g. 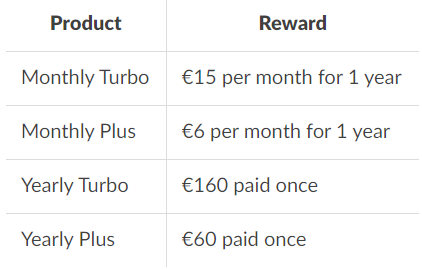 upgrade from plus to turbo will increase the monthly pay-out). Referred clients are not eligible for additional discounts.